As we watch the aftermath of Hurricane Harvey and brace for Hurricane Irma, our perspective shifts. The struggles of those in the paths of the storms are immense, and many may need help that falls outside the scope of the benefit plan description. How can you prepare to step up when needed? 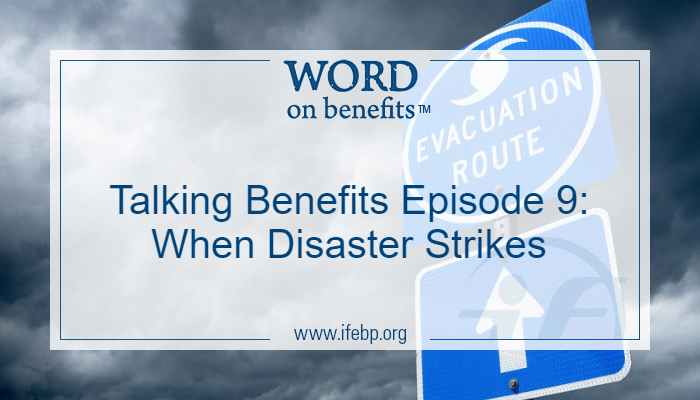 In this month’s episode of the Talking Benefits we discuss how employers and plan sponsors deal with disasters. 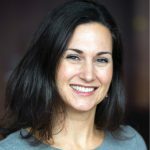 Not sure how to get started with podcasts? It’s easy to start listening! Download a podcast app to your smartphone or tablet. We recommend the Apple podcast app (Apple products only) and Stitcher. Then, search “Talking Benefits” and click “Subscribe.” The app will automatically download new episodes as they come out. Want to listen on your computer? Search “Talking Benefits” in iTunes and subscribe, or check back every month for new episodes posted on our webpage.